I love a lot of music and many artists, but there are three that stick out in my mind and heart, i can’t really pick which one is my ultimate favourite, as i cycle between them depending on mood, so i guess the three of them can be considered my favourite, i will put them in the order i first heard of them. 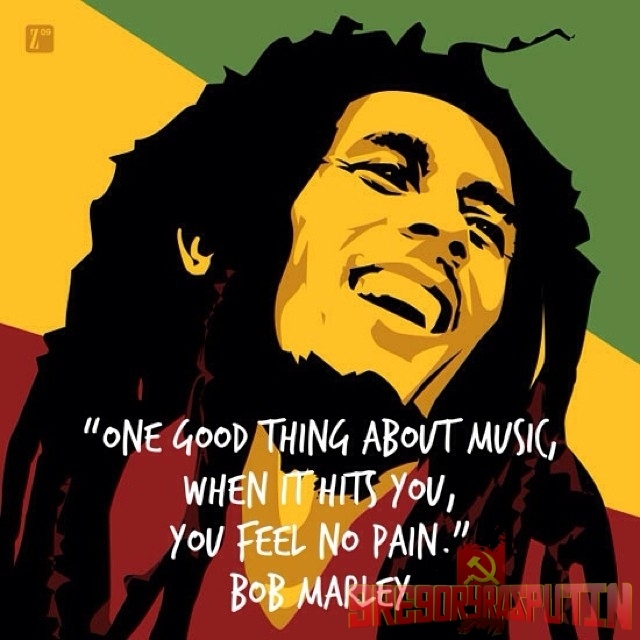 It is true that a lot of people associate Bob Marley with Marijuana and that is how i was introduced to him, fifteen years old sitting in a friends house smoking some weed when an album was put in the CD Player, it was Bob Marley Legend, his music spoke to me, it made me feel happy, i didn’t really smoke weed much after then, but i am glad i was in that situation where i was introduced to this awesome artist. The guy was such an inspiration and tried to accomplish so much, he left a legacy not only in his own music, but in his children, some of whom are great musicians in their own right, you can never be sad when listening to Bob Marley, he just won’t let you, his words and melody keep you high and i don’t mean high from the effects of Ganja, but high with happiness. Whenever i spend my time listening to music, it is usually one of those three, i usually listen music the most when i am writing articles for PlayStationHaX/WiiUHaX or when i am looking for articles to write. That is just a tiny bit involving the personal life of GregoryRasputin.